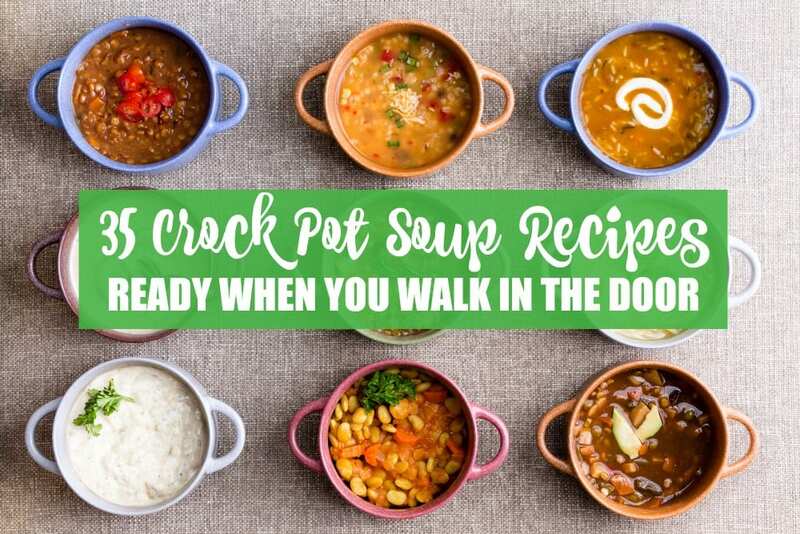 These 35 crock pot soup recipes will not only help make dinner time less stressful, but they’ll warm your insides and get you ready for a cozy night in. There is something about walking in the door after work and school, and being greeted with the smell of dinner. Although I said I was going to use my crock pot a ton this summer, I did not. In fact, I failed pretty miserably at that goal. But come fall and winter, I actually do use my crock pot quite a bit and especially for soups. Imagine walking in the door after a long day of work and being greeted with dinner. And then imagine eating that dinner and having little clean up to deal with. It’s a dream come true and a sanity saver for busy moms who need to feed their family. 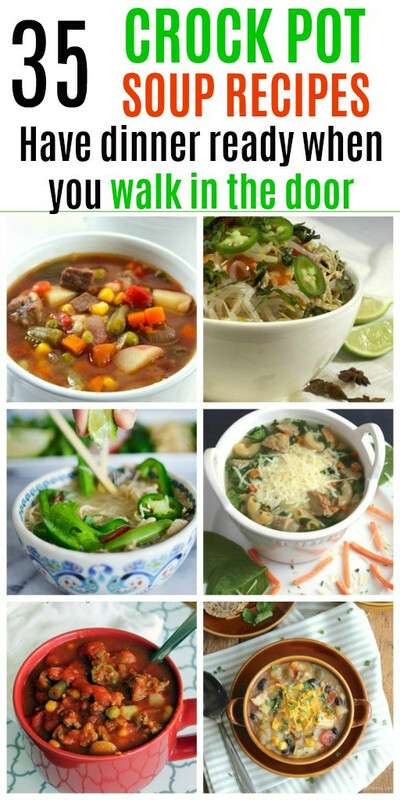 Enjoy these 35 Crock Pot Soup Recipes. You just might find a new family favorite! 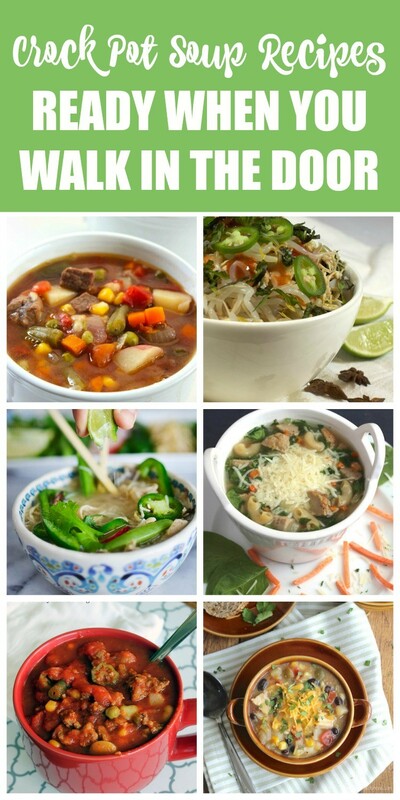 Thanks so much for including my Simple Slow Cooker Pho in this great roundup. Will share via social media! !